Will You Buy An iPhone 7 or iPhone 7 Plus? Home> Resource> iOS Transfer> Will You Buy An iPhone 7 or iPhone 7 Plus? Apple's new genaration of iPhone is coming, are you ready to get one soon? According to the latest WWDC 2016, the new iPhone removes the traditional headphone jack but includes a force-sensitive "home" button, a new two-camera system and a sharper screen. Apple says "iPhone 7 dramatically improves the most important aspcts of the iPhone experience" in its official website, but after the Apple Worldwide Developers Conference, lots of popular media houses are questioned whether the changes will be enough to reignite excitement about the iPhone? So, MobiKin studio have made a market survey about "Will you buy a new iPhone 7 or iPhone 7 Plus" on this site, and now, let's us to check the survey report together. "Don't want same phone with a couple tweeks added to it. Want completely new looking iPhone and a bunch of new added features. Not worth the money for something I already have with iPhone 6." "Principally for the new double lens camera." "My iPhone 6 has not any problems, and if new iPhone is the same like iPhone 6, I won't buy it." "My phone is pretty old, and I will get the new iPhone 7 Plus"
Obviously, iPhone 7 is not enough attractive for iPhone 6 or iPhone 6s users, but if you're planning to change a phone recently, the new released iPhone 7 is also a good choice. And some simple improvements may also attract lots of users in the future. Too many facts have proved that even though there are lots of negative news about the new model at the beginning, but the sales data is still considerable in the past years. So at present, let's look at the features of the iPhone 7 or iPhone 7 Plus, and decide whether to buy one by yourself. Read the below tablesheet to compare iPhone 7 or plus to iPhone 6, iPhone 6s and iPhone SE. Thanks to the above program, you're allows to transfer files like contacts, text messages, music, photos, call logs, voice memos, video, purchased items, etc. from iPhone or Android phone to desktop computer for backup as you like. 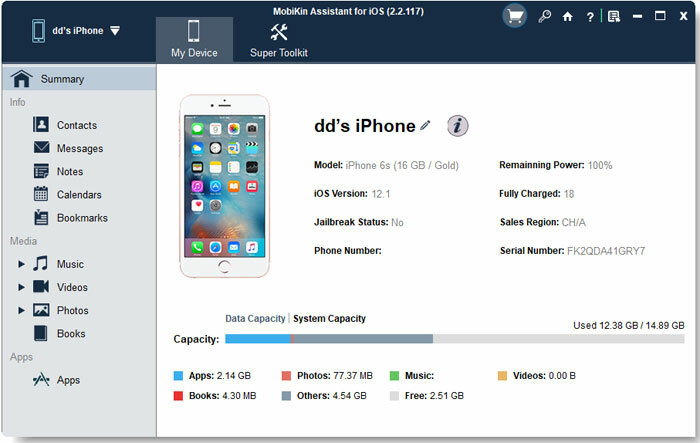 Although the phone you're using now is maybe running on iOS, Android, Symbian, Windows phone or even BlackBerry systems, but now you're planning to get a iPhone 7 or iPhone 7 Plus, so it is necessary for you to find a tool that can help you transfer all your needed data like contacts, call logs, photos, etc. from your old phone to the new one. So that you'll save more time on playing with your new iPhone. 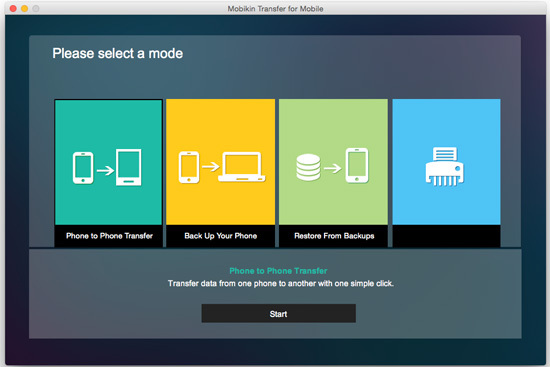 That's why MobiKin Transfer for Mobile is strongly recommended here. Even though the transferring process with MobiKin Transfer for Mobile is 100% safe, but sometimes still have accidents. So prepare a good iPhone or Android data recovery software on your desktop computer, can help you get the lost data back at the first time. 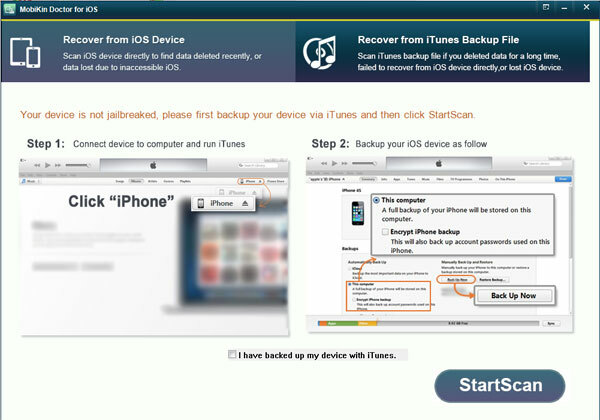 And sometimes the recovery program also can works well as the backup tool for your iPhone or Android devices. Since the iPhone and Android are running on the different operating systems, so you need to select the right tool according to the OS on your old mobile phone. Supported File Types: Contacts, text messages, call logs, photos, music, video, notes, calendars, documents, etc. After transferring all your needed data to the new iPhone 7 or iPhone 7 plus, you'd better to permanently erase the contents & settings on your old phone. Most people will choose to return to factory settings before giving up the old phone, but the facts proved that this method is not 100% useful to avoid data leaking out. So the best way here is to find a tool like MobiKin Eraser for iOS or MobiKin Eraser for Android to help you wipe out everything on your old phone.